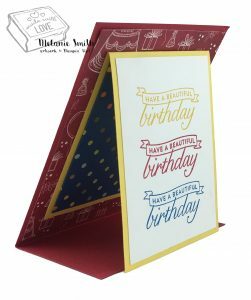 Creating your own Designer Paper!!! unfortunately I do not have an actual tutorial for you today but what I have done here is quite simple so I am sure you won’t need one. 😉 While making this week’s samples it was a coloring labor of love. This card is no exception. Let me show you what I mean…. 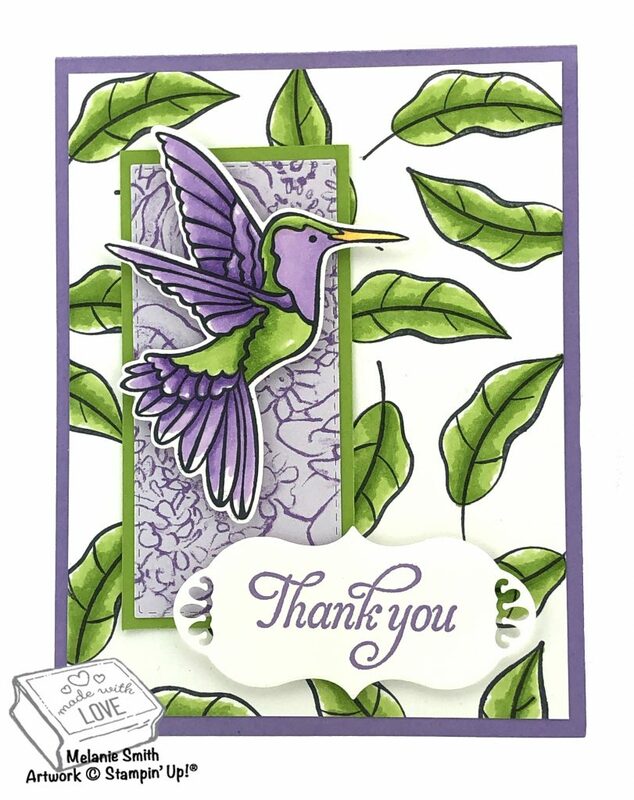 I’ve always adored green and purple together…. 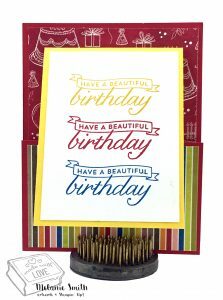 Can you tell I like this card??? 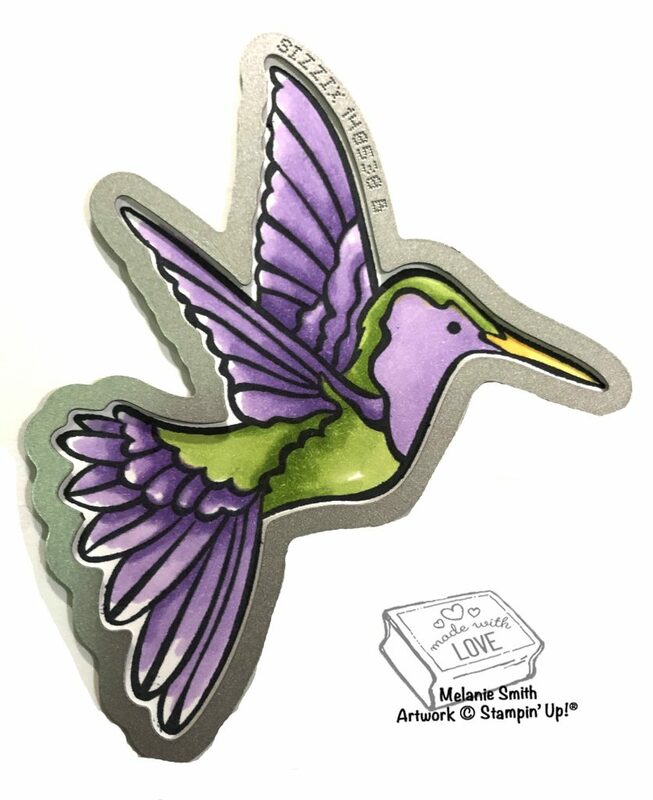 This Humming Along Bundle is just sp fun to COLOR. So if your wanting to learn to color this would be perfect for you!!! 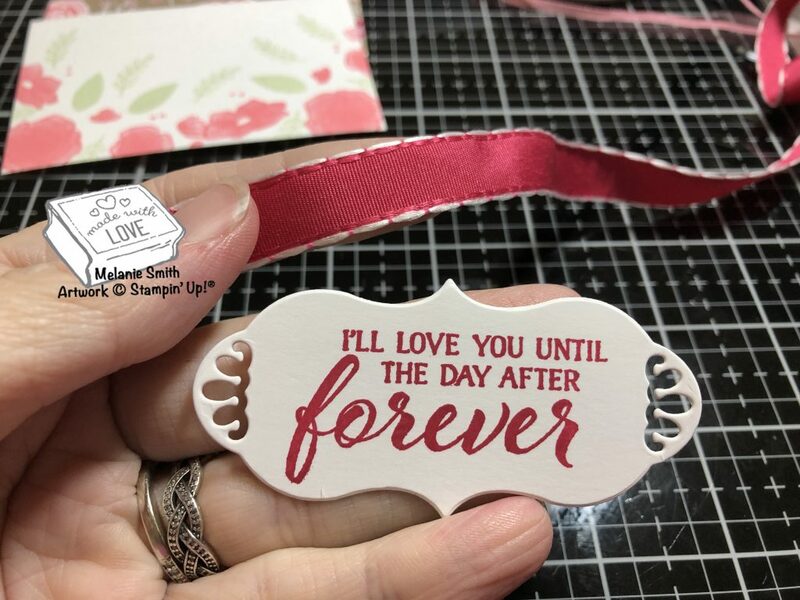 Don’t forget the bundle comes with the dies to make it easy to cut out your beautiful pieces. 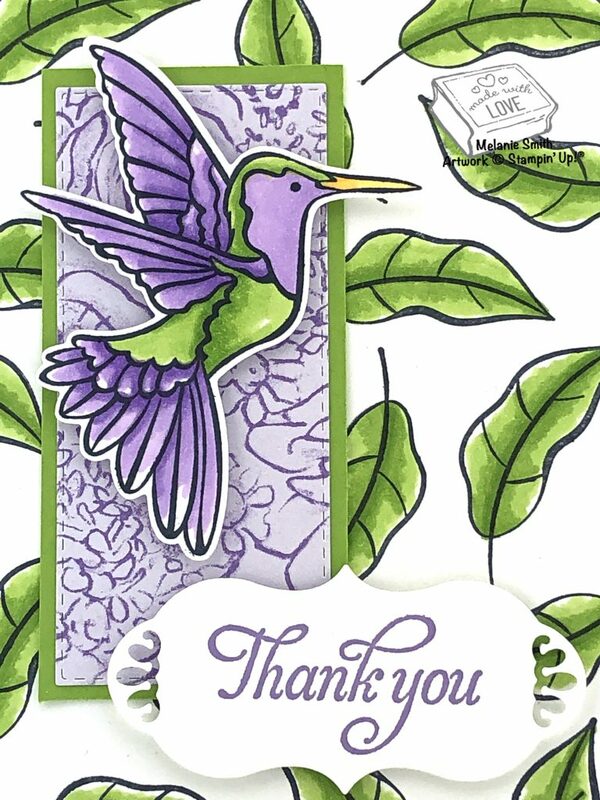 It also includes the sentiment die used on this card. It is the same label I ran the ribbon behind on Monday’s Post. So versatile!!! 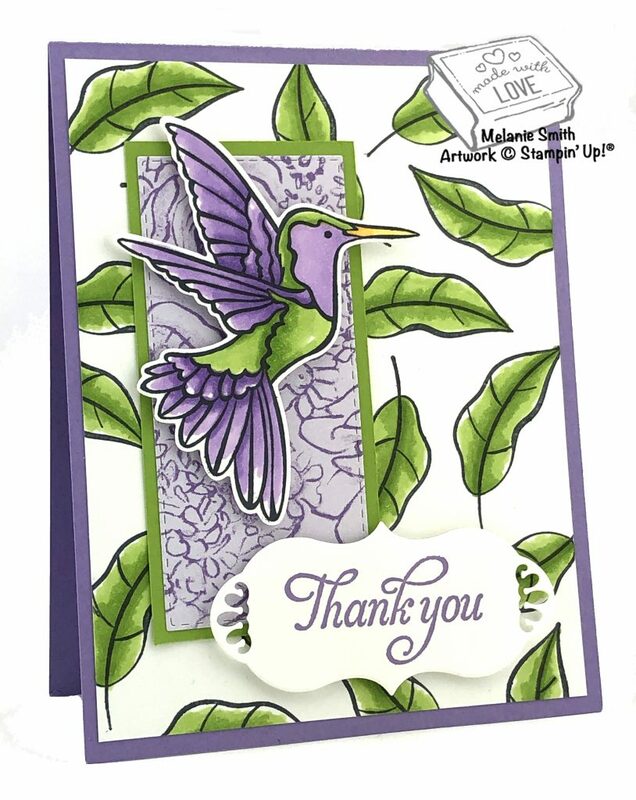 The small piece of designer paper (Purple floral) is cut using the Rectangle stitched die set and the paper itself is also from the Botanical Butterfly DSP Sale A Bration set, Free w/ a $50 purchase. 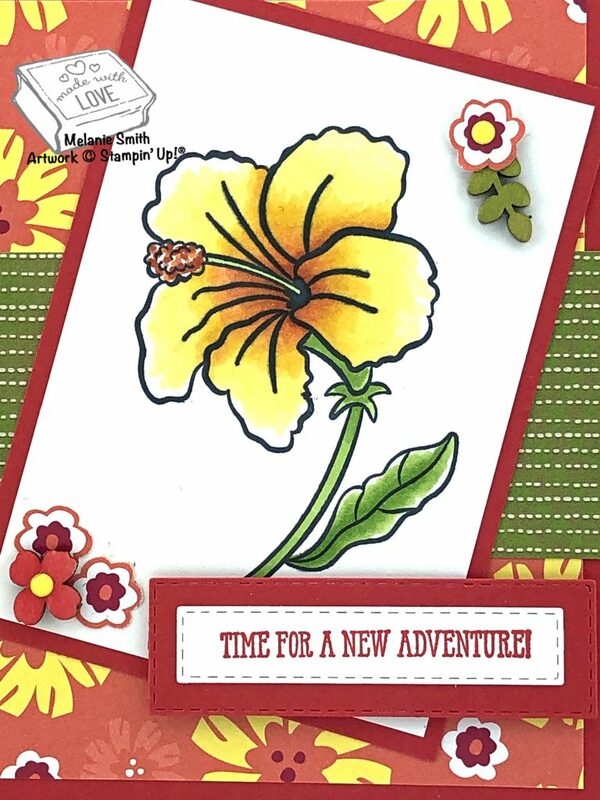 I hope you are enjoy my week of coloring with the Stampin’ Blends. 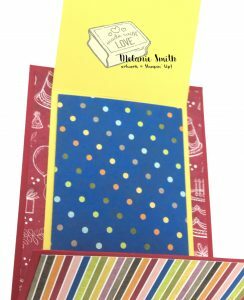 I truly felt inspired by this bundle along with a few of the Sale a Bration items. Don’t forget that you can earn multiple SAB free items. The more you order the more free items you get, but ONLY until March 31st!!! 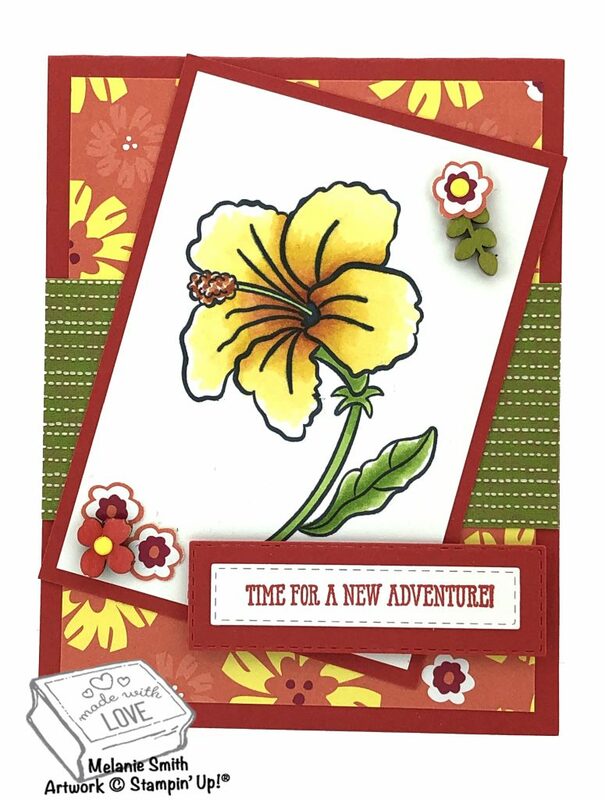 Today I am sharing my second card using the Humming Along bundle by Stampin’ Up! Item # 148758. For my Tuesday’s Tip I want to share with you how I colored these wooden Butterfly Elements, which are available as a FREE choice during Sale a Bration with a $50 order. I always like to invest in things that have multiple uses and in this situation the sky is the limit. 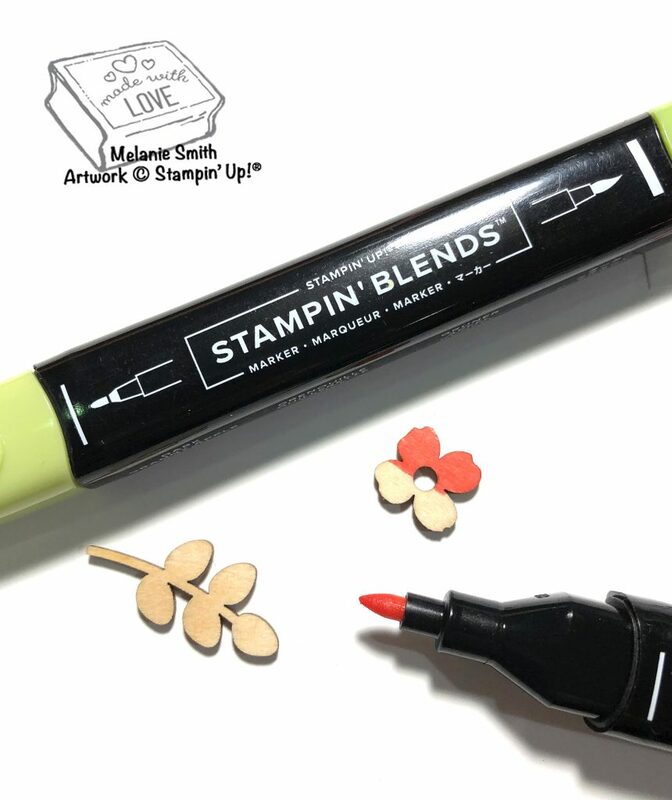 Alcohol markers such as our Stampin’ Blends are not just amazing for color blending but are also perfect for coloring your favorite embellishments. They are a permanent ink which dies almost immediately. So you can color all sorts of things like pearls, rhinestones, ribbons etc. 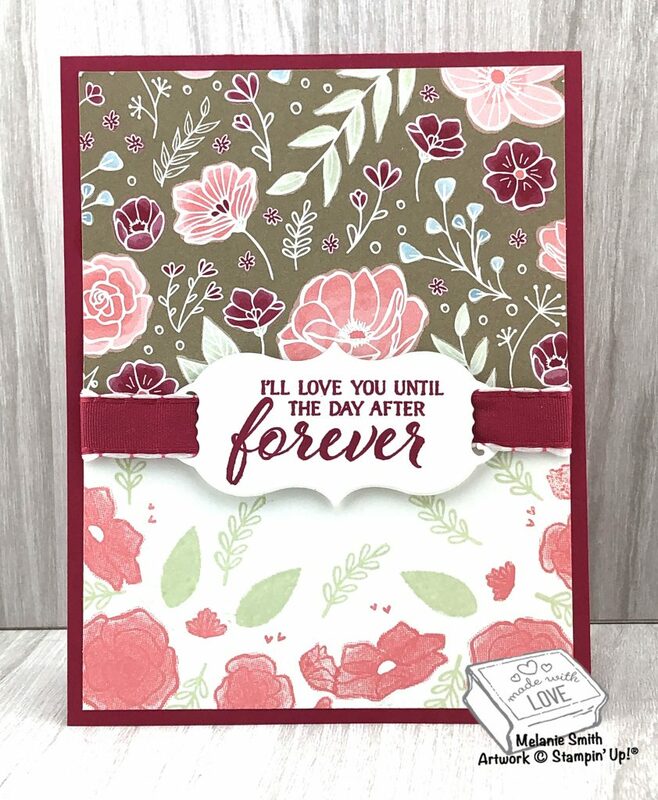 I have layered some die cut flowers along with these wooden elements and even some enamel dots to create the tiny florals in each corner. 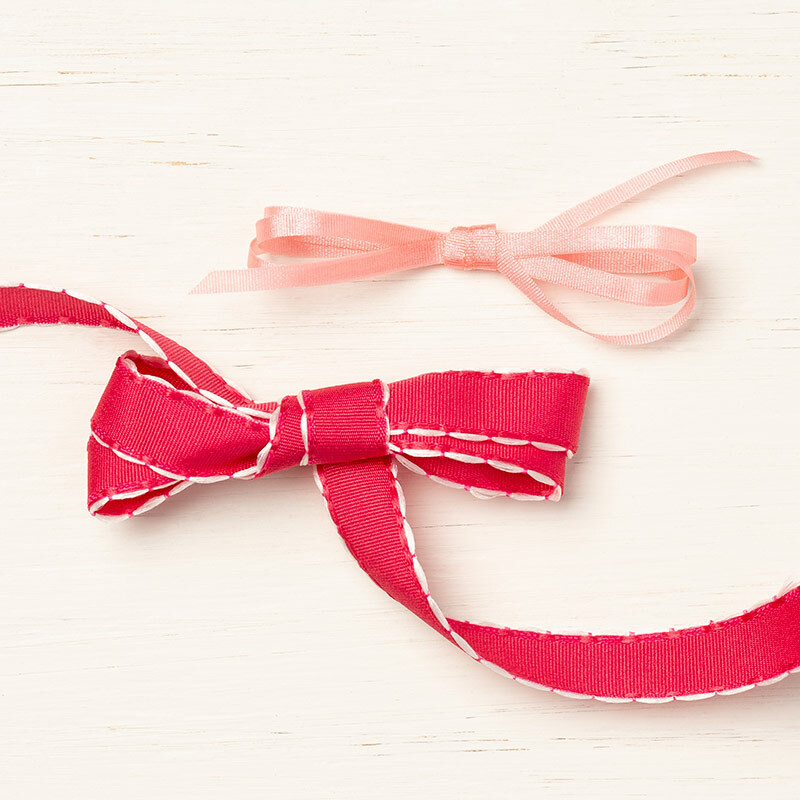 Super simple and oh so cute! 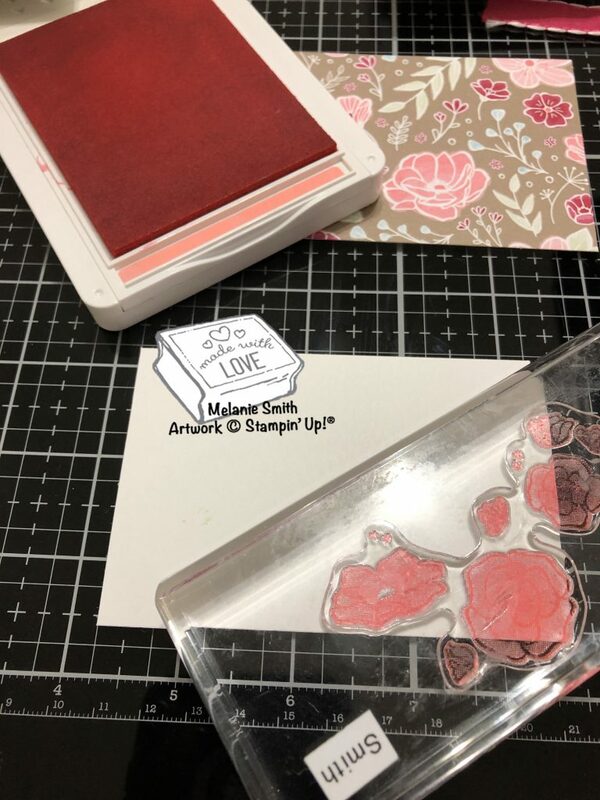 This quick Tuesday Tip is using the All My Love Ribbon along with a Sentiment die to create a fun focal point to your cards. 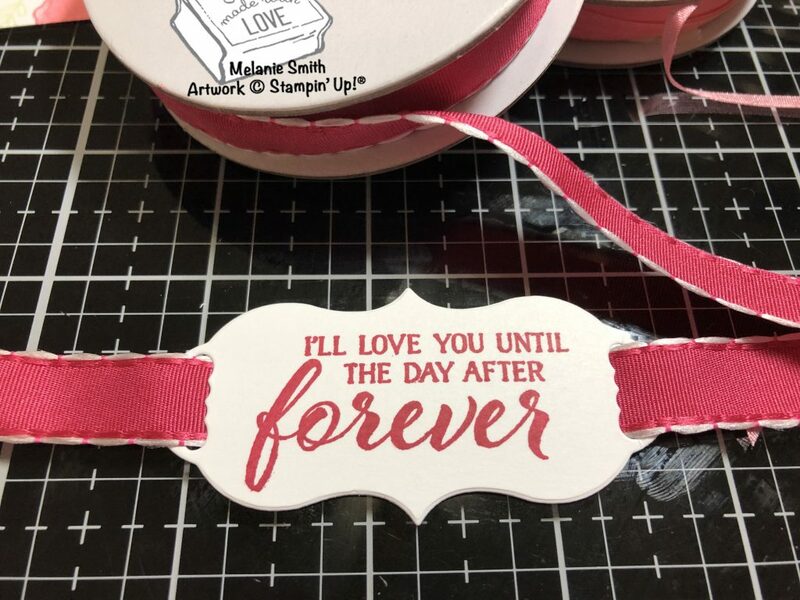 Having the ribbon go behind the sentiment die really works well here…and so easy! Thank you for following along this week. I hope to really inspire you this week. Below are the items I have use today. 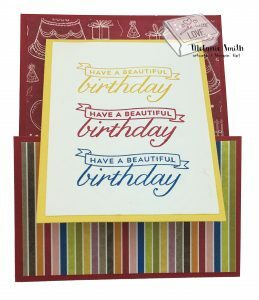 Simply click on the items below and you will be connected straight to my Stampin’ Up!® website for easy shopping. Welcome back for my third simple fold card this week. This card was saved for last in the series because it is a little bit more detailed than the previous two. I hope I can explain this project and that you will be able to create your own. This card has two basic folds. The top “yellow” panel folds up and the “bottom” panel folds down. Then when both are opened it reveals a pocked which holds a gift card.